An employment agreement form is like a relationship between two persons. Both parties give and take, and both parties compromise to make the relationship work. Employee agreements benefit both the employer and employee in terms of the former’s long-term sustainability and the latter’s personal security. 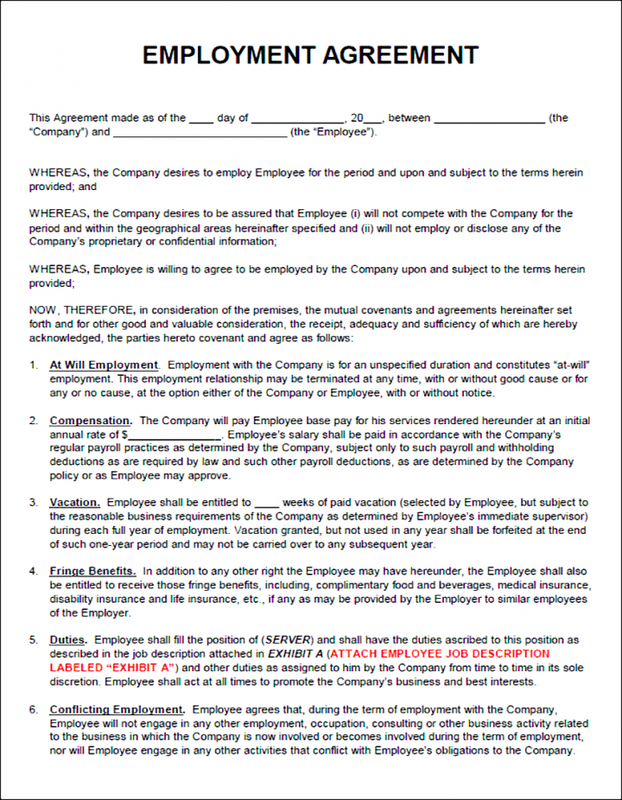 Here are some employment agreement templates that are very helpful if you are managing a restaurant, cafe, or bakery. Change or edit these templates to fit your food business and give them out to your newly hired employees. You may also give them out to your long-time employees if you are planning to revise their forms or contracts. 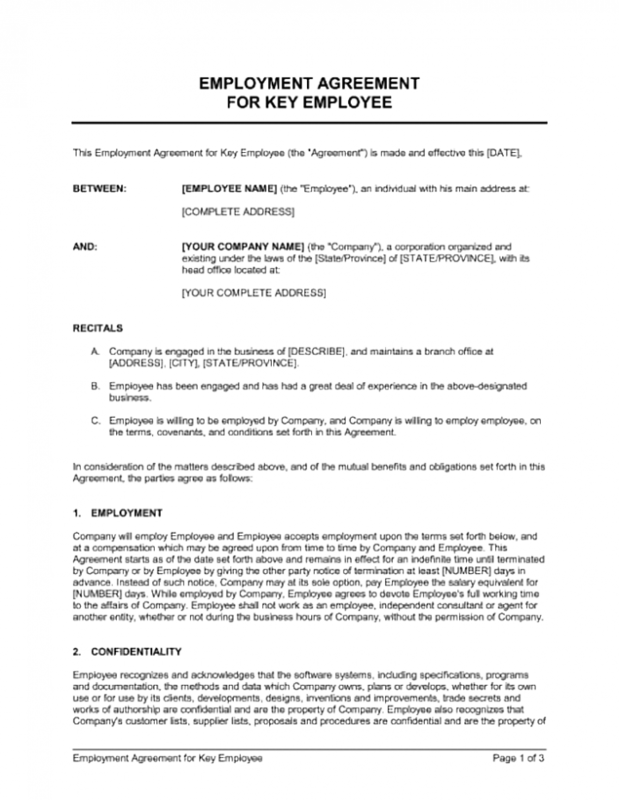 As previously mentioned, employee agreement templates or contracts are beneficial for both the employer and the employee. As long as the necessary information is laid out and incorporated into detail, then it will not pose any concerns for both parties. Here are some tips on how to write effective employee agreements. Even if your company has already been established for more than a couple of years, you can always adjust or amend some policies as long as drastic changes are avoided. This is true especially in employee agreements where employers discuss salary or salary increase terms with employees. Most companies do not necessarily have an exact salary value for new hires, but they have a salary range that determines how much they can afford to pay the employee. That is also the reason why they ask employees during the job interview how much they are expecting to earn. In terms of salary increases, especially for tenured employees (one year and above), most likely you will open negotiations with them regarding their salary to make them stay as you definitely do not want your most productive employees walking out your door. Salaries are not the only things you need to consider and talk over with your employees. Job responsibilities should also be discussed as you may want to increase or decrease your employee’s workload. Additionally, this presents a great opportunity for your employee to air out any concerns he has with his current role in the company or other concerns regarding co-employees and the work environment. Before you schedule a conversation with your employee to discuss the employment agreement, make sure everything is listed in a draft document in case amendment template will be made. Speaking of listing everything in detail, all information you want to write down in your employment agreement form should be written down to the last detail. Employment agreement forms are very tricky, especially when things get out of hand and one party starts to sue the other. This is one situation you should never want to escalate if you are an employer as it will become very costly and can potentially damage the reputation of your company. There would eventually be situations when amendments will be made to company policies in terms of human resources (i.e. employee retention or employee roles and responsibilities). Companies might cut down on costs and lay-off a number of employees, assigning the tasks left by those employees to the ones still with the company. Additionally, companies may look at expanding their operations and add more personnel. Written agreements provide clarity in a way oral agreements can never do. One party might say one thing while another may say another. It will cause confusion and conflict. The rule of law in any country in terms of business documents is that everything should be placed in writing. Each revision should have a copy (either a digital or physical copy), and old versions of documents should not be thrown away for record-keeping purposes, or if the company might want to revert to that previous version of the policy. Having a physical or digital copy of sample employment agreements, or even both will help your company weed out unqualified and inadequate employees who are looking to take advantage of the company. The last thing that companies want to do is deal with difficult individuals who are no longer affiliated with the company. Technology has made it possible for all types of documents to be written, saved, and stored in small devices (flash drives, external hard drives, etc.) and even in cloud storage. Additionally, technology has not only made it easy to store documents, but also make any kind of documents (for business, religion, education, health, government, etc.) online. If you have the extra budget, you can always contact online business consultancy agencies and organizations to make any business document for you and your company for a fee. All you need to do is provide them the format and details to be written and you are set to go. 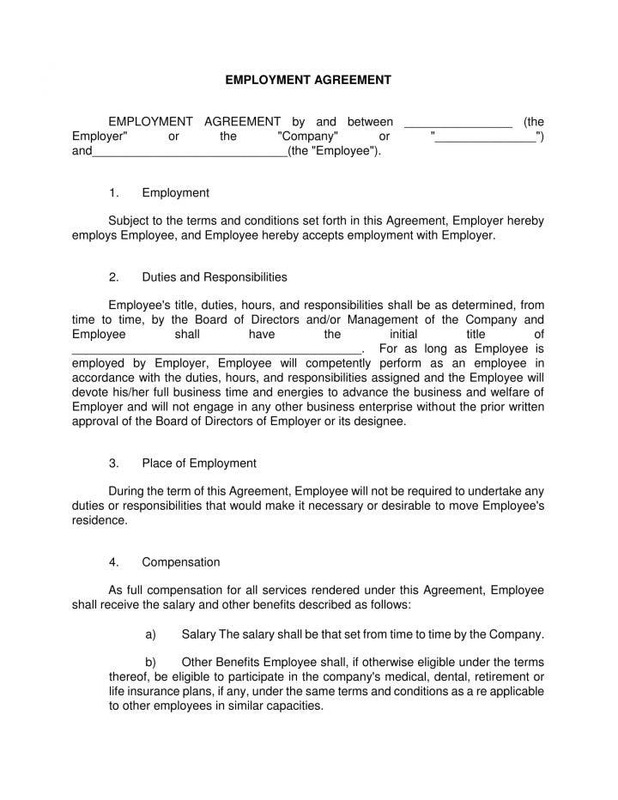 Although employee agreements in PDF are beneficial for both the employer and employee, most of the time their long-term smart goals are never in line with each other, especially for established companies or corporations. Companies who have to operate for more than ten years have already set their long-term goals and policies, making it difficult for them to adjust to newer employees compared to startups that can easily adjust to current customer and employee trends. 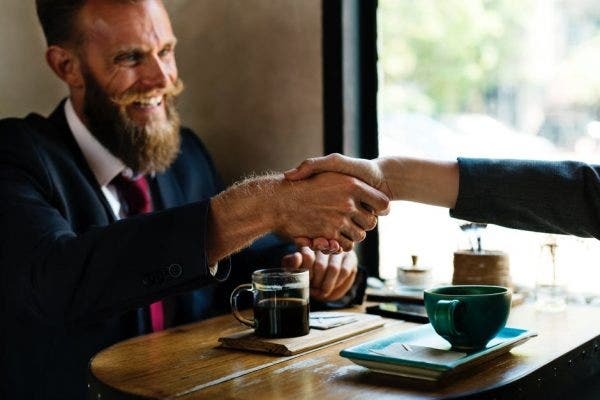 To match the rapidly evolving business environment where products are sold at a high rate in one year and see a steep drop of sales in the next year, business agreement forms and contracts should be continually updated to prevent high turnover or attrition within the company and keep the small business running. Without employees, production will definitely be negatively affected and cause some serious concerns for your customers and suppliers. As previously mentioned, employment agreements are created to prevent abuse from both employers and employees. Sometimes, it is not always in the best interest of management to take care of their employees. They want to maximize profitability at the expense of cutting costs which sometimes include the salaries and benefits of employees. This is where employees should air their concerns and take it to management templates, especially if work conditions are difficult yet salaries and benefits are compromised. Unfortunately, it is common for companies around the world to constantly change their policies without getting feedback template first from their employees. Policies range from job responsibilities being transferred from one person to the other with the individual not being informed ahead of time of his new tasks, and also policies created by management which prevent employees from receiving the right amount of salary and benefits. Most of the time, this ends in very high attrition rates for the company which will negatively affect their image not only with future applicants but also with their clients and other stakeholders templates. On the other side of the spectrum, some employees take advantage of their positions to the point that they force the company’s hand to make radical changes in their policies. Under-qualified applicants who were hired by the company are usually the ones finding trouble in the workplace, often convincing other workers to take their side even though management is being fair and just with their decision-making. It is a fact that most employees work for the money and quite rarely for their true passion, so it is better for both parties (especially for newly hired employees) to discuss and request the right salary that fits their skills and experiences. You may also see employment contracts for restaurants, cafes, and bakeries. So, those were some tips on how to write an effective employment agreement form or contract. We have also discussed the importance of these agreements to both the employer and employee. Employment agreement forms or contracts prevent employers from abusing their power as policy-makers and also prevent employees from being too complacent or relaxed in the workplace. 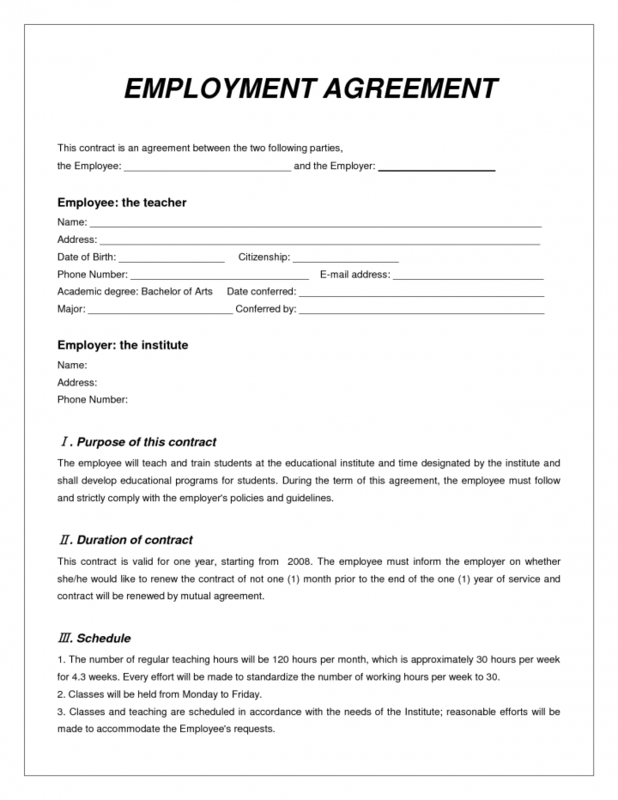 You may also see sample employment contract templates. As a business owner, remember that the most effective employee agreements are the ones which are detailed and include all necessary information down to the last detail and incorporate suggestions from employees. So, if you are about to develop or update the employment agreements for your company, be sure to keep these tips in mind. 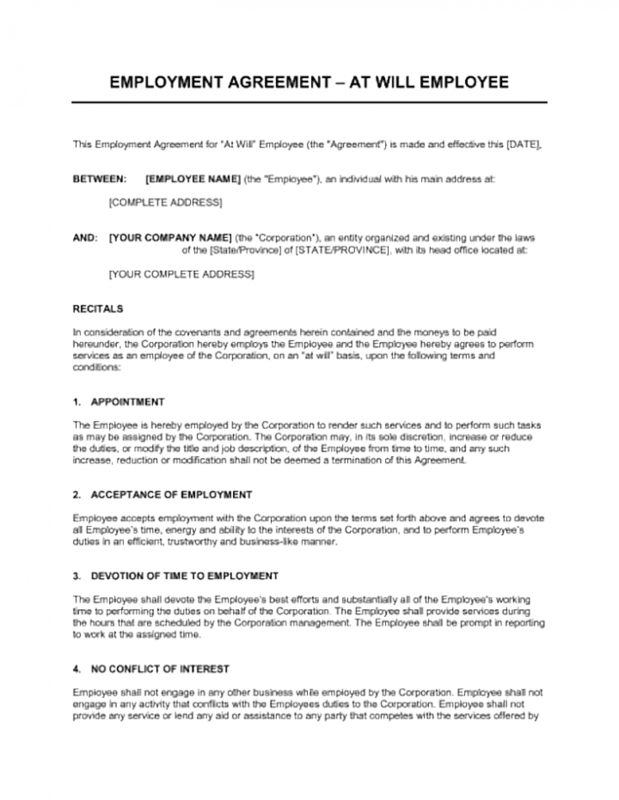 You may also see simple employment separation agreement templates. Take time to check out our other business articles by browsing the related posts linked to this article.